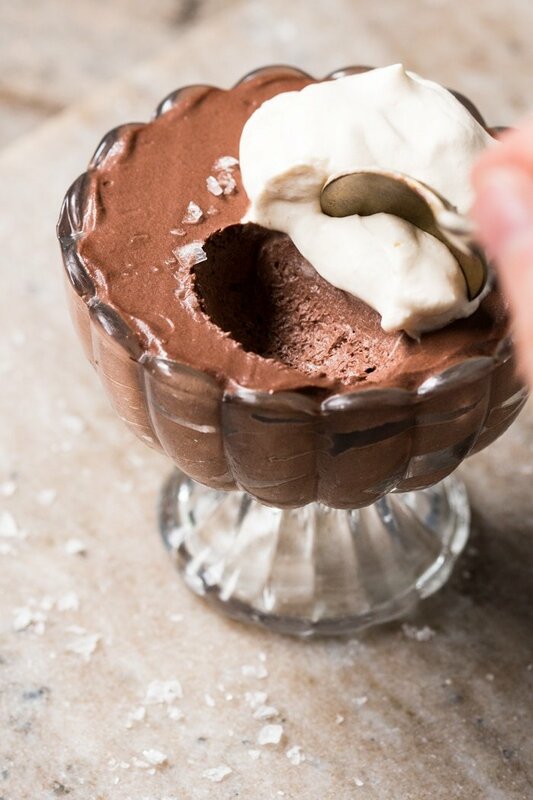 Extra fluffy and easy-peasy to whip up, this paleo and keto chocolate mousse is bound to satisfy any and all chocolate cravings! This (fairly instant!) 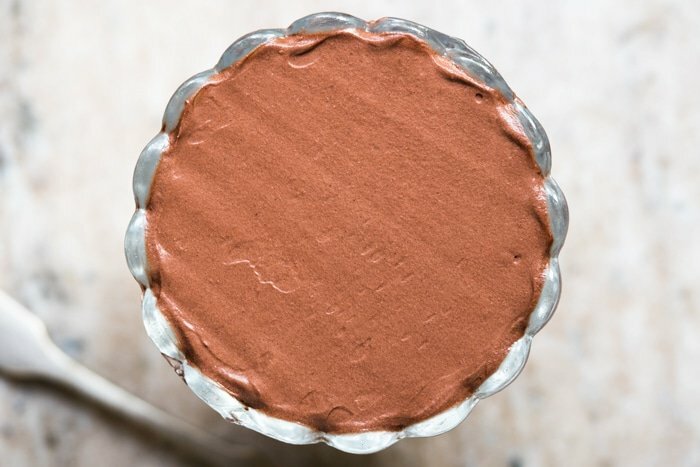 keto chocolate mousse is an ideal no-bake low carb treat to whip up year round. Serve it extra chilled for balmy summer days, and keep it going year-round as a satisfying and comforting chocolate treat. 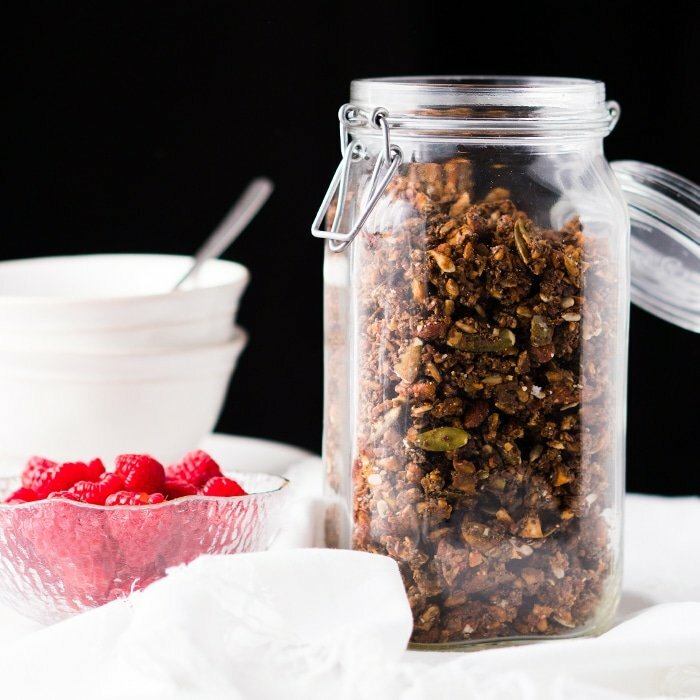 It’s also one of those not-fussy-at-all recipes, which adapts easily do your dietary needs. Be the sweeteners, chocolate or ‘creams’, this recipe is proof that simple recipes can indeed be veeery good. 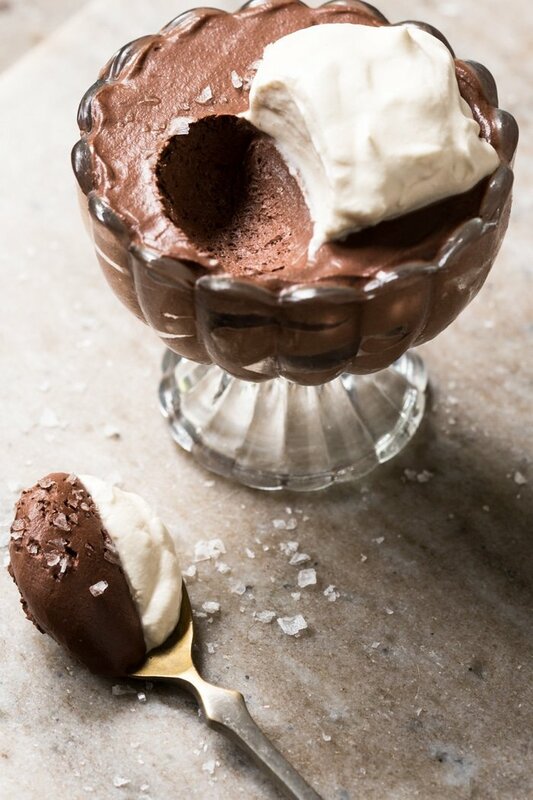 Oh, and my favorite is to do a ‘salted chocolate’ version and garnish it with flakey sea salt. But adding in some orange zest (or extract) is wonderful too! 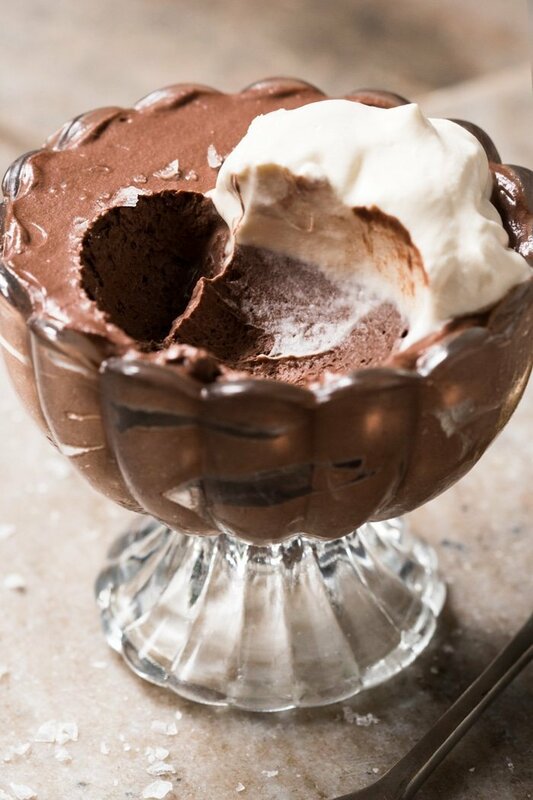 There’s honestly no science to this low carb chocolate mousse as you won’t be making an egg custard. Instead, you’ll bloom the cocoa in hot coconut milk along with the sweetener, allow it to cool and subsequently fold in some whipped cream (coconut, heavy or sour all work wonders!). Now, blooming the cocoa (i.e. 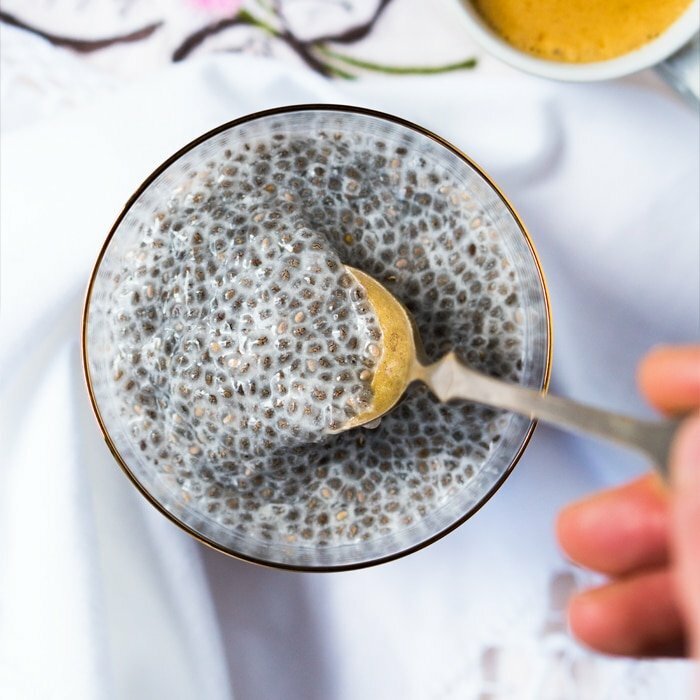 dissolving it in a hot liquid) is a classic baking trick to amp up the chocolate goodness (think our classic keto brownies or chocolate cake!). So while you can technically skip this step and just add in some cocoa to whipped cream, it’s my humble opinion that you absolutely shouldn’t! Cocoa or cacao? Both work great, just know that quality really matters here. Our favorite will forever be the Dutch-processed alkaline cocoa Valrhona, known to be one of (if not the) best cocoas in the world. 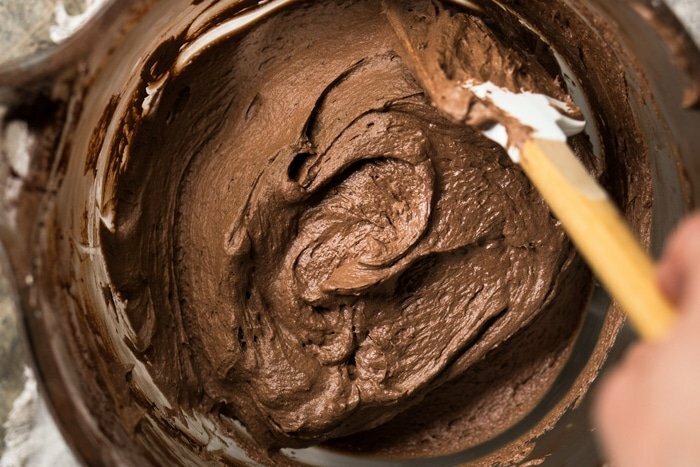 But feel free to use a raw cacao powder (arguably more nutritional perks here), though keep in mind that your chocolate mousse will be lighter in color and more reddish in hue. Both are well and good, as long as they’re unsweetened. Pick your poison, you can use anything from powdered sugar alcohols (think xylitol, erythritol or allulose) or pure monk fruit. And if using xylitol, make sure to be careful if you have a pup (or kitty)around the house, as it’s highly toxic to the little guys! Heat up coconut milk and sweetener of choice until it just begins to simmer. Mix it up very well with the cocoa, espresso and salt in a small bowl and allow to cool completely (you can do a water bath to speed up the process!). Add heavy whipping cream (or chilled coconut cream) to a chilled bowl and whip until relatively stiff peaks form. Blend in the cooled chocolate mixture. Transfer to a serving glass and enjoy right away. Or hold your horses and chill the mousse for a more set version (my favorite!). **Coconut cream can either be bought as such, or you can always refrigerate a can of full fat coconut milk overnight, scoop out the solids that form on top (i.e. the cream) and discard the liquid. Please note that nutrition facts were estimated per half the batch, so you can either get two good-sized treats or one very generous serving. I don’t know what i did wrong, but my mousse just wouldn’t set this time! First time it came out perfect 🙁 it’s more like delicious, melted chocolate ice cream consistency. I’m not sure either tbh! It’s sometimes hard to diagnose without being in the kitchen with you… but any chance you forgot an ingredient? How would i convert this to vanilla using extract? Thank you in advance. 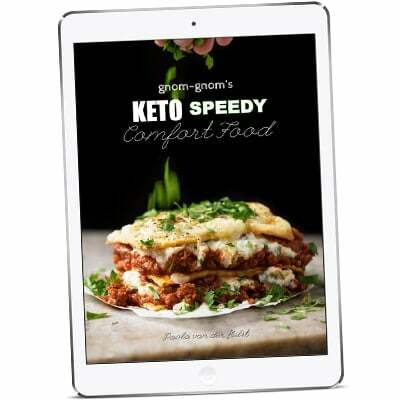 Can we use swerve so it can be keto? I have made this twice so far! It’s delicious! My question is “how much is one serving? I’ve tripled the recipe without thinking. Now I have this big bowl of moose and I’m not sure of how much is a serving. I was thinking 4 ounces, but I need to be sure. I made this last night using cacao powder and it came out delicious, light and fluffy. Would make a perfect hot chocolate topping! I want to double this to serve for Christmas dessert. Can I bloom 2x the cocoa in the original amount of coconut milk and make up the difference with whipping cream? Or do I need to double from the onset? Thank you! 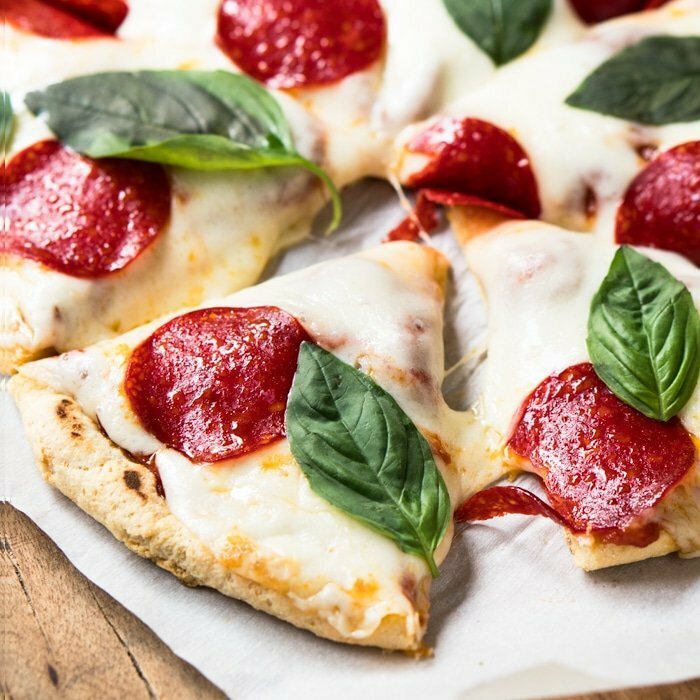 This is such a simple delicious recipe. I didn’t have any coconut cream on hand so I just used heavy cream, but it came out so beautiful and smooth. I usually never leave reviews or comments, but I have never, ever, tried anything “just-like-the-real-thing” when I started on keto as much as this, so here I am. I’d say it’s even better than the real thing, so this one really takes the cake! 😂!! SO awesome to read your comment Saphie! Hope you enjoy more recipes on the site 😉 xo!! for some reason when I hit the Print Recipe button, when I try to save the PDF it gives me an error message that the file is corrupted? Any ideas? So delicious! Thank you Paola, I love your recipes and have deleted 90% of the ones I was saving in favor of yours. 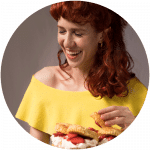 As far as I am concerned, you are the queen of keto! I am less in love with very sweet, so reduced the sweetener to a scant tablespoon, and added orange zest. Also topped with crème fraiche. Thanks for the salt flake suggestion, really pulled flavors together! I wondered if I can double the recipe for company-this is absolutely company-worthy! Do you know how I could incorporate Bailey’s Irish Cream into this recipe. It is so amazing and delicious. I do liquor tastings and would love to make this using Bailey’s. 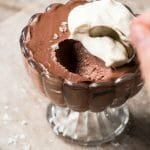 Yes, I know it will no longer be Keto but the basic mousse is so awesome I just need to incorporate that in my tastings. My customers are not necessarily into health at the moment but I did want to introduce them to a fantastic mousse. Perhaps they will be inspired to get on the band wagon. Thank you so much. Can’t wait to try this!! I’m wondering if I can use the coconut cream instead of the coconut milk IN the mousse and forget the topping?? Sure thing Tami! Will just be a bit thicker xo! Thanks! I made your No Bake Cheesecake for One yesterday and it was soooo good! The crust was amazing! I’ll definitely be making that quite often😋😁! This was absolutely the best chocolate mousse I’ve ever had. So creamy and fluffy. I need to make a dessert using Bailey’s Irish Cream. Do you know how I could incorporate that into this recipe. Tired this recipe for mousse last night. It was delicious. However, my family thought I used too much chocolate, so for tonight I added more whipped cream to the chocolate …. Yes!! Awesome to hear Kathy! And yup, milk chocolate vs dark chocolate lovers is definitely a thing! xo! Do you just use the harden coconut or use a can from the pantry & use the mixed combo? New to this so I’m learning. Hi Cheryl! We’re all constantly learning no worries! For the first time you want the whole thing (so if it’s separated in your can, you can do a quick water bath so it incorporates fully). If you’re also using coconut cream for the whipping part, you will need the hardened coconut part of the can (or a can of pure coconut cream). I hope this helped! 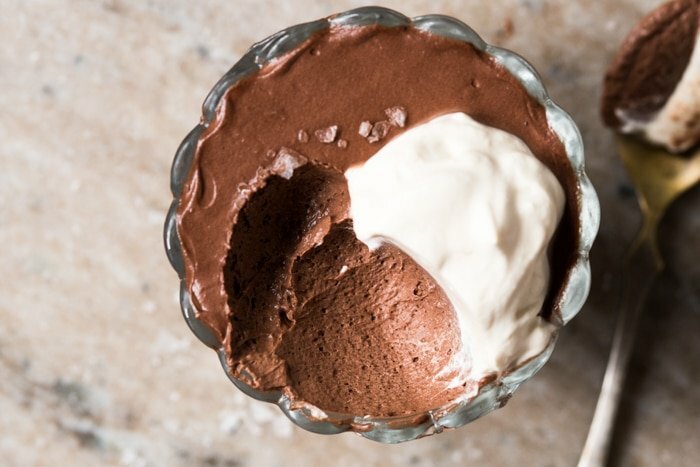 Are there other flavors of mousse that could be made with this method? Strawberry, vanilla, butterscotch??? This recipe is so awesome and creamy and yummy all in one!! It goes together SO FAST it’s unbelievable!! How many carbs does it have when it’s all said and done? I’m new to the low carb family so just getting my “low carb legs”. My husband and I shared it and it was plenty for both of us. We did the dark chocolate and so good. Can you tell that we REALLY love it!! Thanks again for all your wonderful recipes. Your recipes are ALWAYS the best! Hands down one of the best chocolate mousses I’ve had in my life! Wow! Totally blushing Claire, just happy you enjoyed it! Looks delicious! I love you blog! Doesn’t this have gelatin or something to set something up? If not, what makes it look all mouse-perfection as pictured? Thank you Haley, that’s awesome to hear! No, just the ingredients listed! It’s the combo that makes it set like this (remember that coconut milk sets hard in the fridge, and whipped cream is also thick) xo!